Can’t believe this is my second book signing already and what perfect place to host it but at Jewellery Arabia Bahrain – pearl central! Thank you all so much for coming and making your way through the labyrinth of jewellery displays to find me! It’s a long way away from London and my first book signing at Sotheby’s, but just as much fun. Many of you also tuned into my Instagram Live feed and my takeover of Jewellery Arabia Bahrain Instagram, and I’m so grateful. 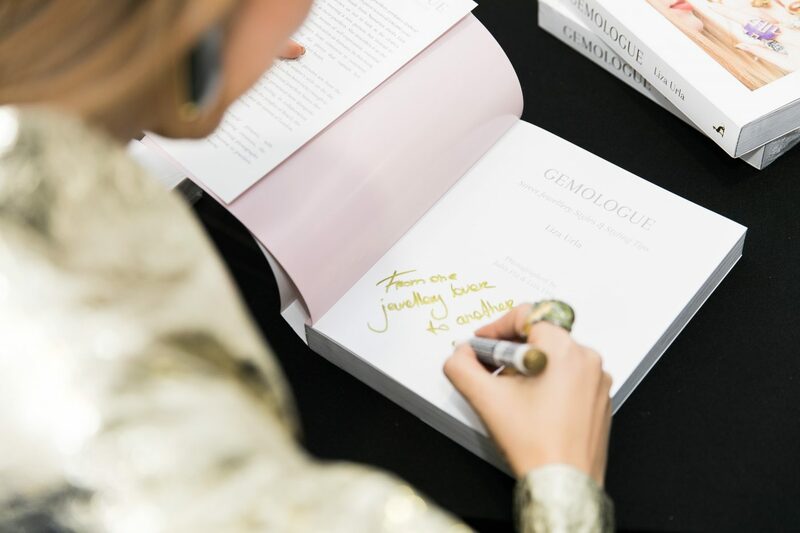 Since 2009 when I started GEMOLOGUE, I’ve been dedicated to inspiring my dear readers with beautiful jewellery and captivating photography. I wanted to show jewellery lovers and enthusiasts how to be creative and experiment with their own gem style. 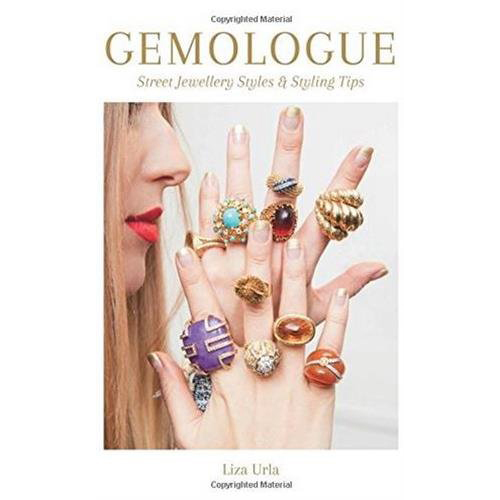 My new book, GEMOLOGUE: Jewellery Street Style & Styling Tips does just that. 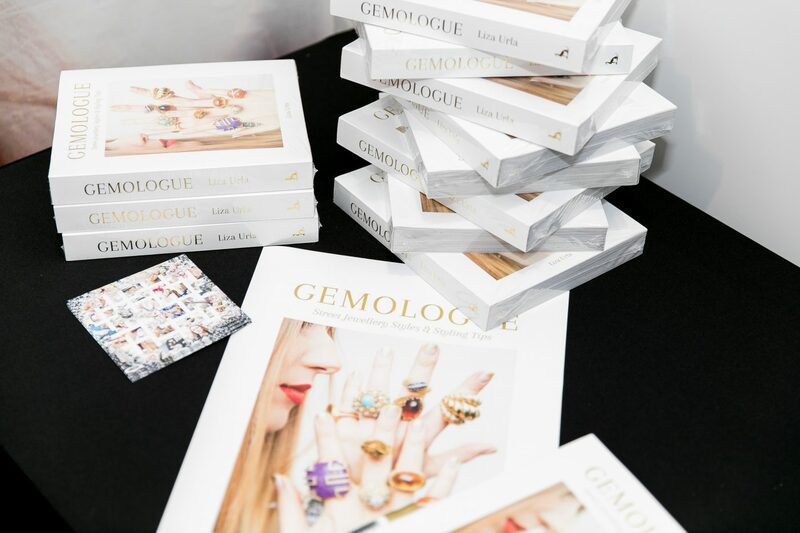 Showcasing some of my favourite looks, it’s packed full of engaging jewellery styling tips, the ultimate guide for jewellery lovers and enthusiasts and one that’s long deserved. 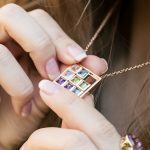 With so many books about jewellery and fashion street style, I wanted to create something unique, fun, and engaging. A special thank you to my gracious host (four years in a row!) – the lovely Azza Al-Hujairi of Azza Showroom at Jewellery Arabia Bahrain. How time flies! Last year we were presenting from her pink boutique at Jewellery Arabia Bahrain 2017, this year, we’re having a book signing. But not before a quick Q&A, and a great conversation about jewellery and pearls. My eternal love for pearls has only grown over the past nine years, since I launched GEMOLOGUE. One aim of mine was to give pearls the recognition they deserve and showcase them for the natural wonders they truly are. 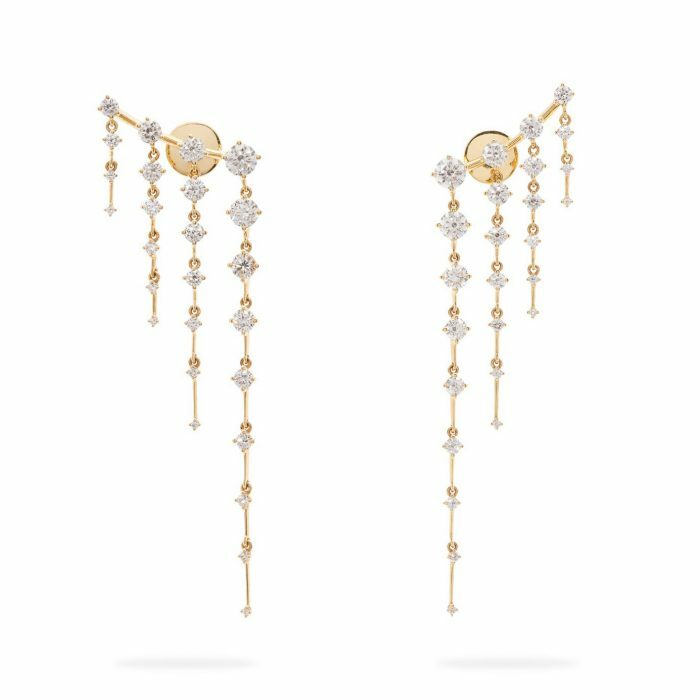 Worn by the kings and queens of noble empires across the globe, and the rich and famous of Hollywood and the silver screen, pearls have always been a symbol of luxury. My goal has always been to revive the perception of pearls, like this massive poster behind me clearly demonstrates. This is the look I wore to London Fashion Week to change the conversation from fashion to jewellery. We’ve been wearing jewellery long before we’ve been wearing clothes. My #jewelleryface went viral on social media and is featured in GEMOLOGUE: Jewellery Street Style & Styling Tips. The first-ever natural pearl I saw up close was in Bahrain. For Bahrain, the pearl has a deeper meaning and holds a special place in the history, tradition, culture, and heritage of the Kingdom. This is why Bahrain speaks to me and I want to educate people and eliminate misconceptions about natural pearls. So I’m holding my first natural pearl choker giveaway to help raise awareness. 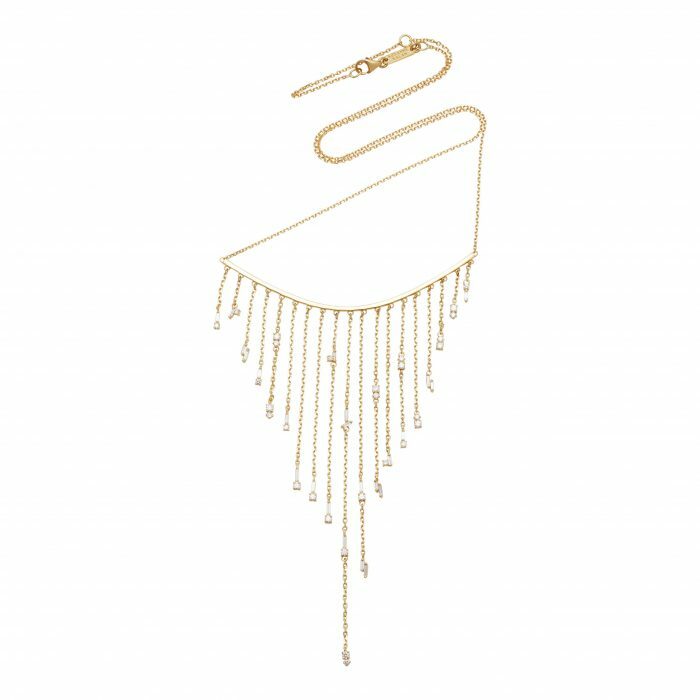 You could win this stunning piece of contemporary jewellery before 1st December 2018! Click the link to learn how. 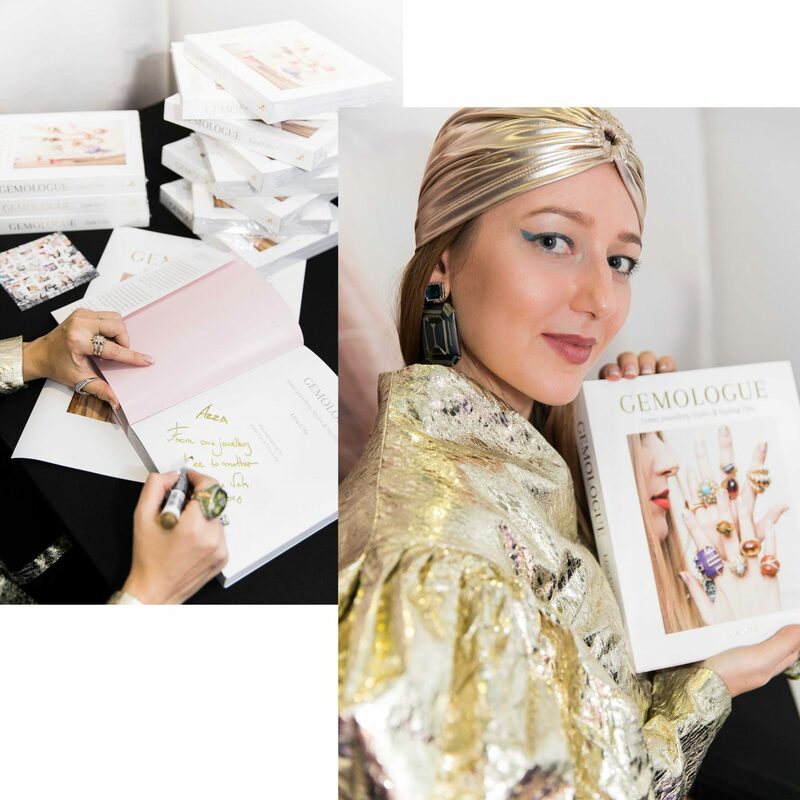 If you still haven’t got your copy of GEMOLOGUE: Jewellery Street Style & Styling Tips, you can order it on Amazon International. 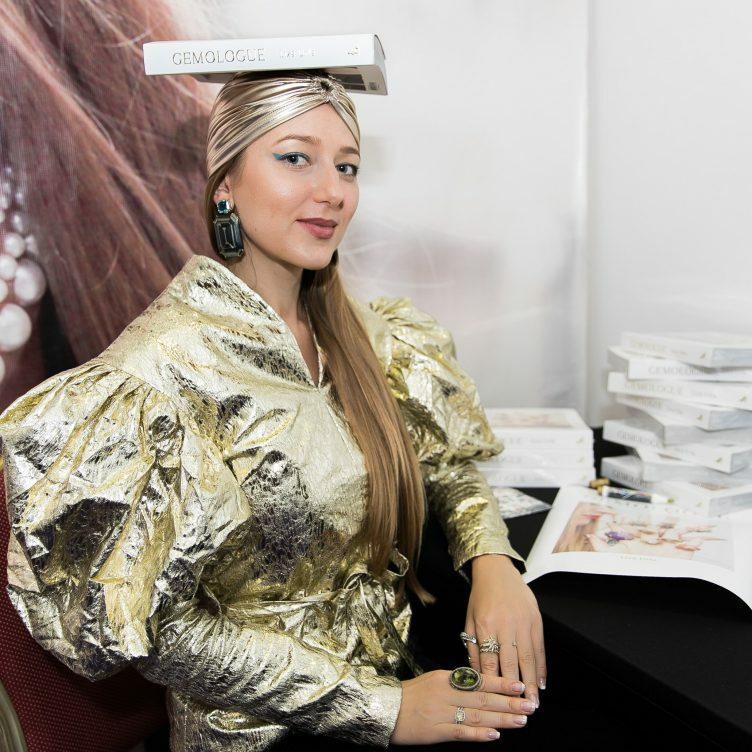 In the meantime, here are a few jewellery styling tips from the Q&A. 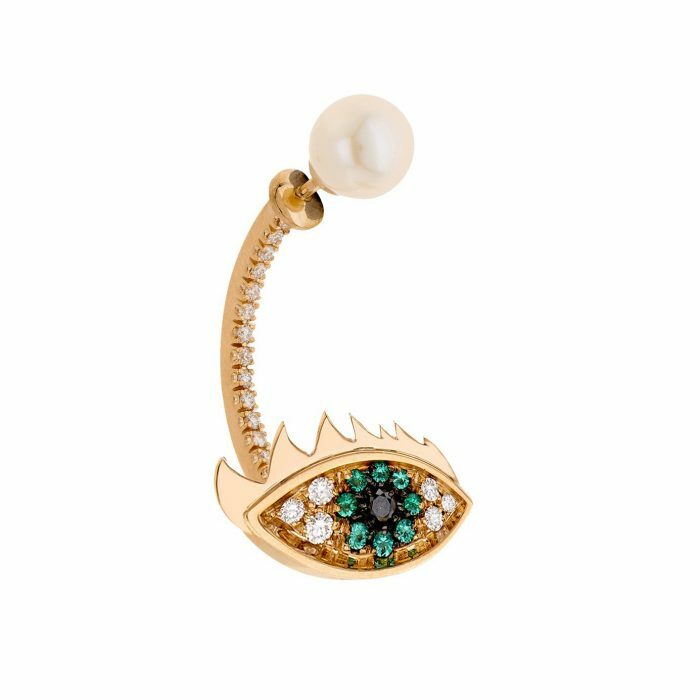 Everyone wanted to know the three most desirable pieces of jewellery every woman should own. 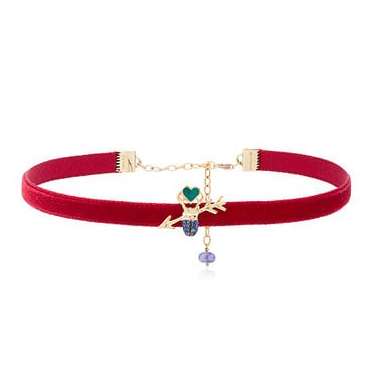 Any jewellery lover instinctively knows that the more jewellery you have the better. 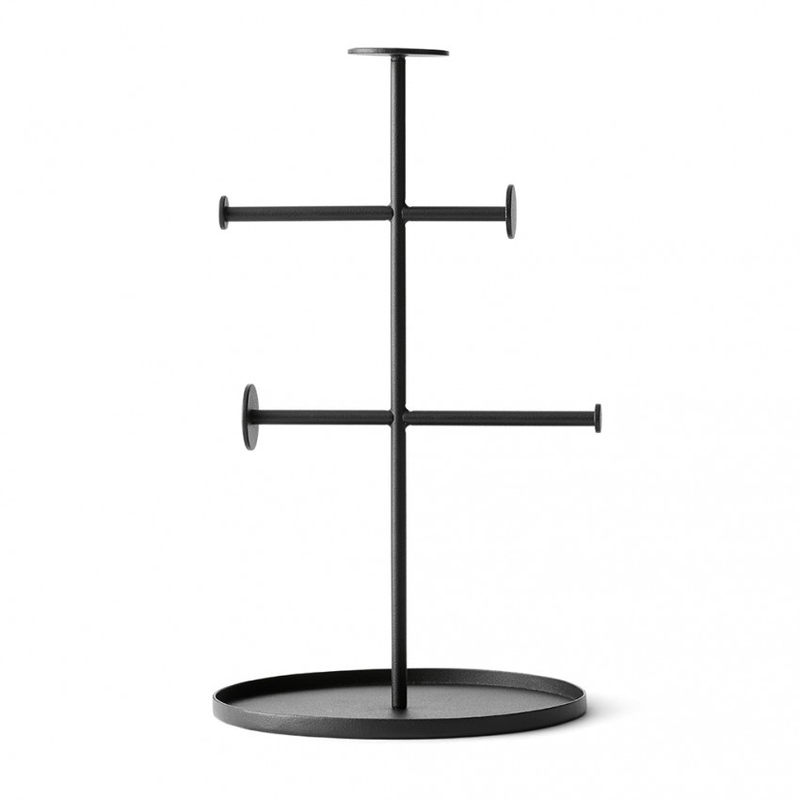 But in the interest of time, I kept it to the absolute essentials and just three pieces. Besides your engagement and wedding rings, choose a ring you can wear every day that triggers some emotion or evokes a special memory. A ring is personal and could represent a mantra that means something to you or symbolize an attribute that empowers you. A ring should bring joy every time you touch it and hold it, transporting you to a better place. Express yourself with a necklace and think about what you want to say to the outside world. 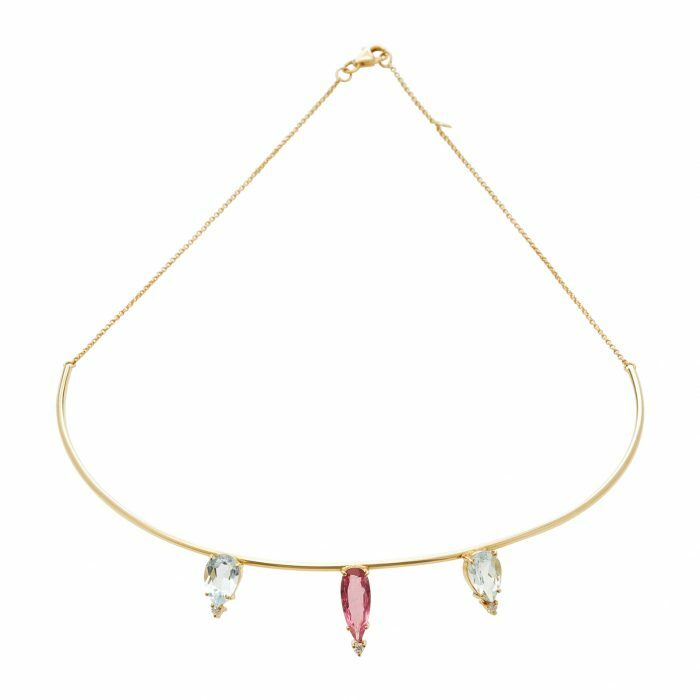 Only those looking at you can see the necklace you wear, so make a statement and choose carefully. What kind of impression do you want to make? I personally adore statement earrings. The bigger the better! However, the size of your earrings is often influenced by the culture. 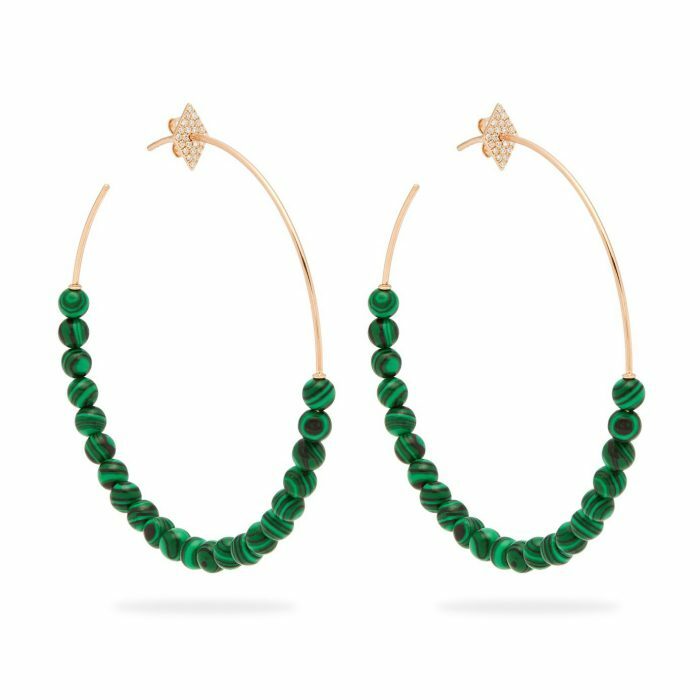 In Brazil, women love huge earrings, but in the U.S., they prefer smaller earrings, and in Europe, they’re practically non-existent! Everyone loves studs, right! The trick with styling smaller earrings is to experiment with different styles like ear jackets, ear cuffs, and alternative designs. 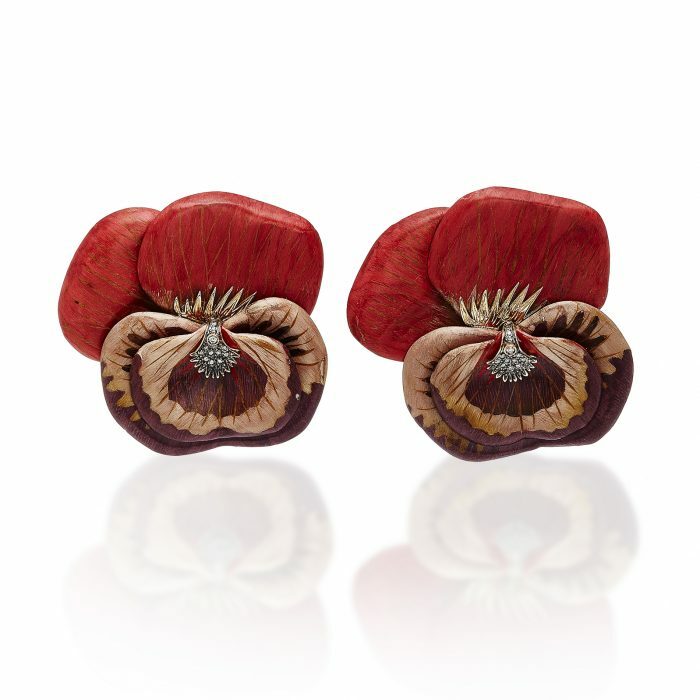 Earrings are an essential finishing touch to your look. 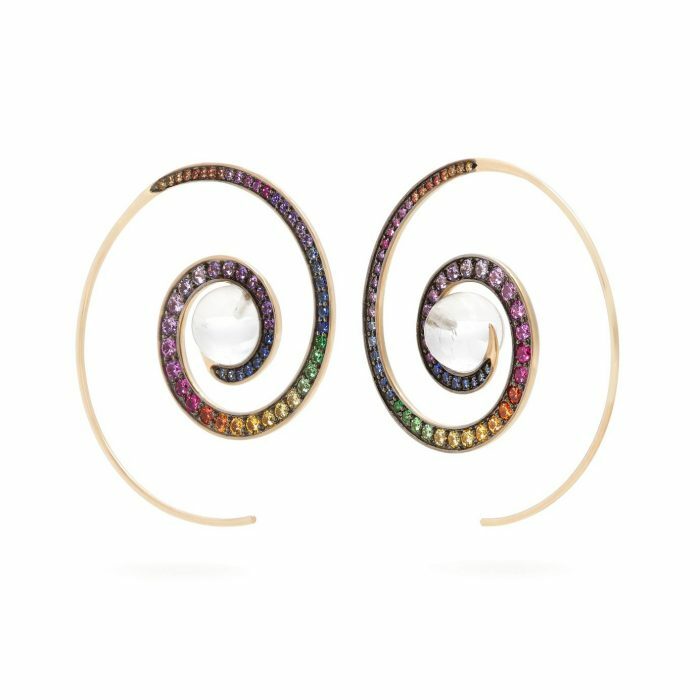 Diamond earrings are grand, but so too are many other beautiful and colourful gemstones, and let’s not forget pearl earrings. When it comes to earrings, it’s all about attracting energy and vibrations to yours ears, so choose a gemstone or pearl to match your inner rhythm. I could have gone on talking about jewellery forever. 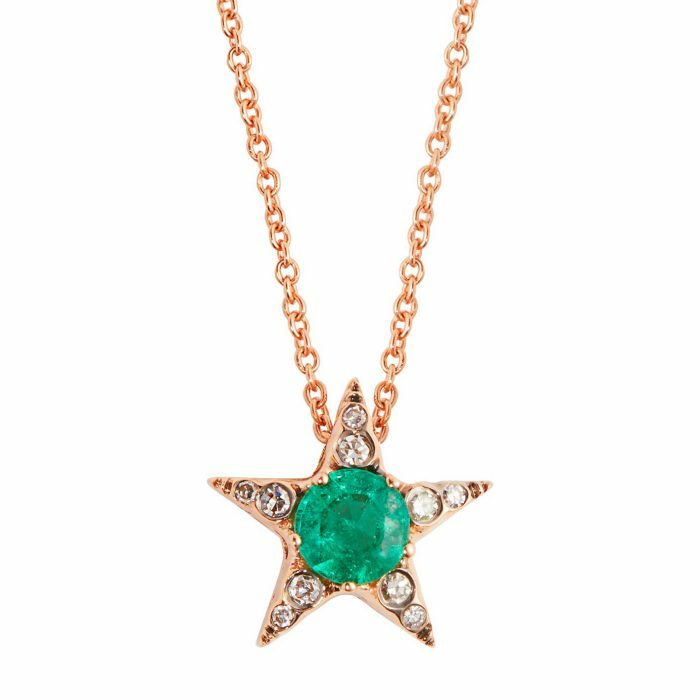 The only way to find your perfect essential jewellery pieces is to look around. 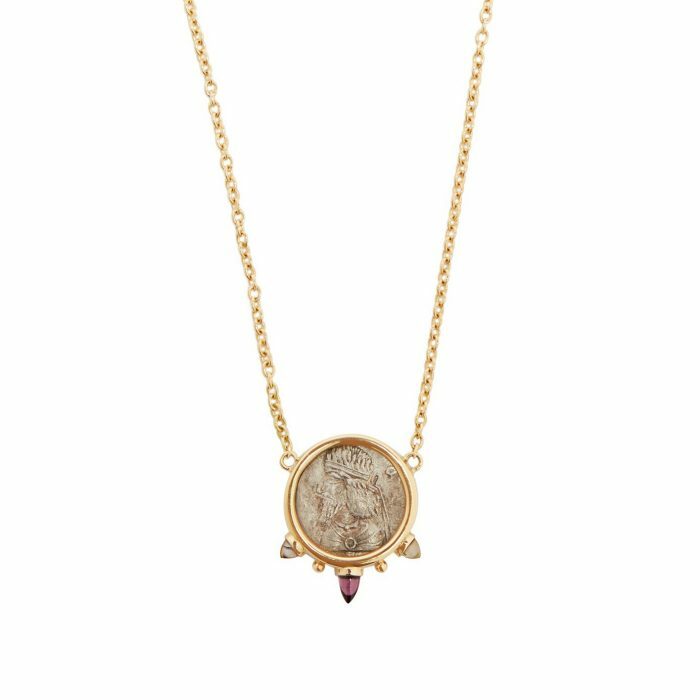 Browse GEMOLOGUE Instagram, discover stones you love, and find a style that fits you personally. Jewellery is a form of self-expression and individual style. So don’t let me tell you what you should wear, rather let me inspire you to experiment and try something new. 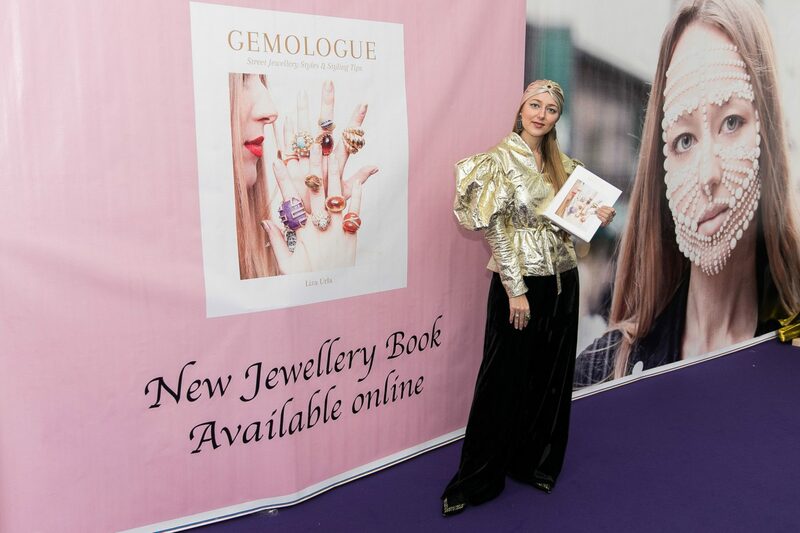 I hope my book, GEMOLOGUE: Jewellery Street Style & Styling Tips will inspire you to discover your own unique style. Thanks for stopping by. What do you feel like my book shows? Please feel free to leave me a message in the comments below.